Not too long ago I was asked to start looking into then recent reports of Outlook hanging on first launch. The first launch hang symptom happened as mail items were writing into the OST (cached mode) as user’s came in each morning and opened Outlook. Forcefully closing and reopening Outlook was a workaround but the cause needed to be identified as the impact was potentially the entire firm. 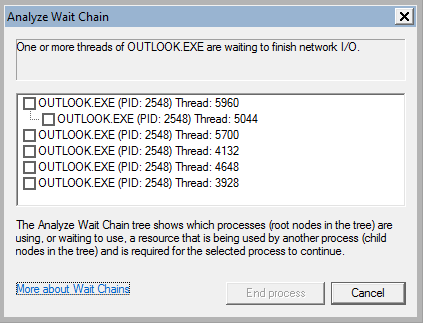 Right-click the hung process and select Analyze Wait Chain to get a list of the thread IDs. 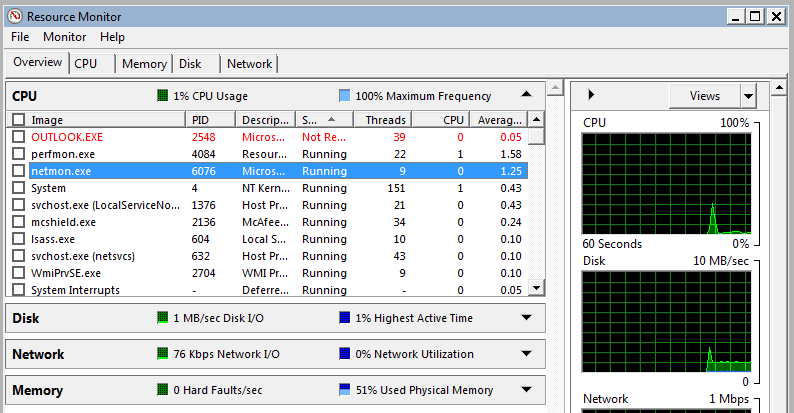 One of these threads will contain the module(s) that is causing the process to become unresponsive. 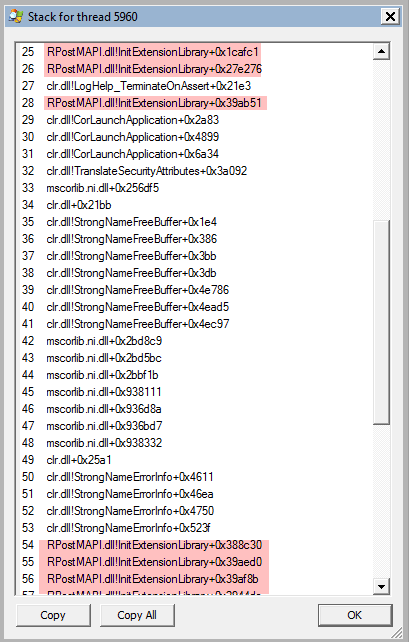 There is a single 3rd party module appearing here, everything else is Microsoft. This made sense as this particular module was part of a recent Outlook add-in upgrade. The other threads were also examined but the only 3rd party modules they were referencing were proven addins that had never caused issues. A POC was tested on with several users over the course of a couple weeks by disabling the add-in via load behavior in the registry and issue did not resurface. The issue was raised with the vendor and a newer client for the add-in was provided that resolved this problem. 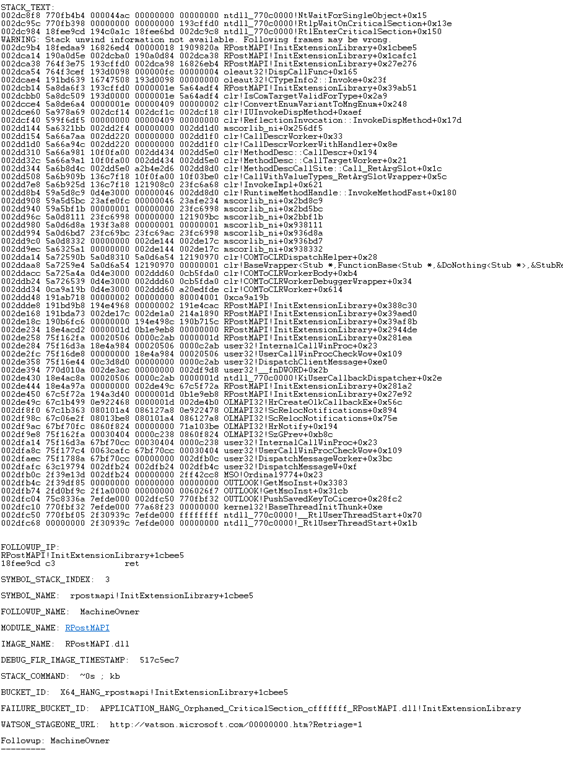 This entry was posted on April 8, 2014 at 10:35 am	and is filed under Troubleshooting Tools. Tagged: Hang. You can follow any responses to this entry through the RSS 2.0 feed. You can leave a response, or trackback from your own site.